MATRIKX® Pb1 extruded carbon filters reduce soluble lead using a powerful ion-exchange filter medium with high specificity for soluble lead. 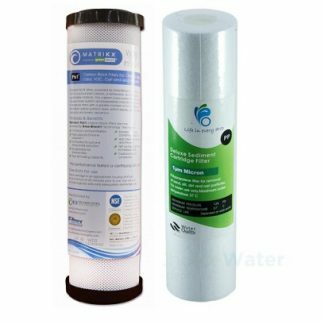 Particulate filtration is used to intercept insoluble lead-containing particles, even those less than 2μm in diameter. Standard filters* reduce lead (meeting National Sanitation Foundation Standard 53 test protocol) for over 9,400 Litres when operated at a flow of 2.8 LPM. 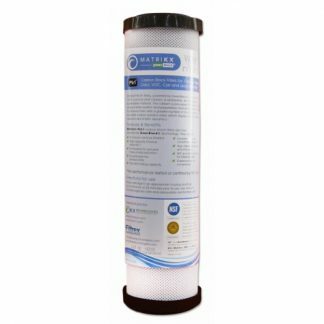 MATRIKX® Pb1 filters offer high levels of organic chemicals reduction, and reduce trihalomethanes (THMs), volatile organic chemicals (VOCs), chlorine, and chemicals that contribute to taste and odor. MATRIKX® Pb1 filters are owned by a USA company Cartridges are now manufactured in India. Test Results: Standard 2.50” O.D. x 1.25” I.D. 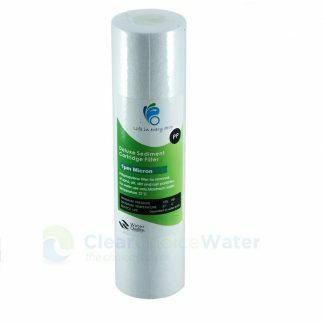 x 9.75” L MATRIKX® Pb1 extruded carbon filters removed all detectable free chlorine (<0.1 ppm) from an influent challenge containing an average of 2.0 ppm free chlorine flowing at 2.8 LPM, and maintained this level of performance for 9,400 litres. Young children, infants, and foetuses are particularly vulnerable to lead poisoning, even from a small dose. Growing children will absorb any lead they consume more rapidly. A child’s physical and mental development can be irreversibly stunted by over-exposure to lead. In infants, whose diet consists of liquids made with water, such as baby formula, lead in drinking water make up 40 – 60 % of total lead exposure. For young children it is estimated that lead in drinking water contributes between 10 – 20 % of total lead exposure. Replace after 10,000L (or 12 months) for lead reduction.